If you're into fitness or generally just want to look after your body and are finding it hard to follow any sort of eating plan then this is the book for you. Written by Christian Coates, the brainchild behind Soulmatefood - this book is packed full of easy to make, seriously mouthwatering recipes. I really love the style of this book, it's full of interesting facts about food and drink. I'd say it's the only fitness type book I've ever picked up and thought 'right something has to be done here' I need to sort my body out. I actually want to read it, and I want to do something about sorting myself out. Since it arrived I haven't been able to put it down and my diet plan starts as of this Monday - seriously. I have a Reader Offer to get this book at a discounted price so please read on. The book clearly marks which recipes are for right for what you want to do so for me it's Burn (that's me) oh yes I really do need to loose a good few pounds. Each recipe in the book is marked with either Burn or Build so at a glance you can see what sort of diet code each recipe is good for. It doesn't mean you cant's have the recipe you fancy as there are notes at the bottom of each recipe allowing you to alter just one or a couple of ingredients so the recipe fits in with your chosen diet code. The recipes are all brilliantly photographed by Yuki Sugiura. Easy to prepare, nutritious and all designed with the variations (Burn, Balance and Build) to suit your life and your fitness goals. for people with a wide range of different fitness goals is now available to everyone. *Easy-to-follow eating plans designed with specific goals in mind – losing weight, building endurance,playing team sports, gaining muscle or simply keeping healthy. *Mouth-watering recipes created not only to taste great but to also complement your fitness programme. Christian Coates founded Soulmatefood in 2008 based on the conviction that he could bring the power of healthy cuisine direct to people’s doorsteps – to help make a real difference to their health and wellbeing. 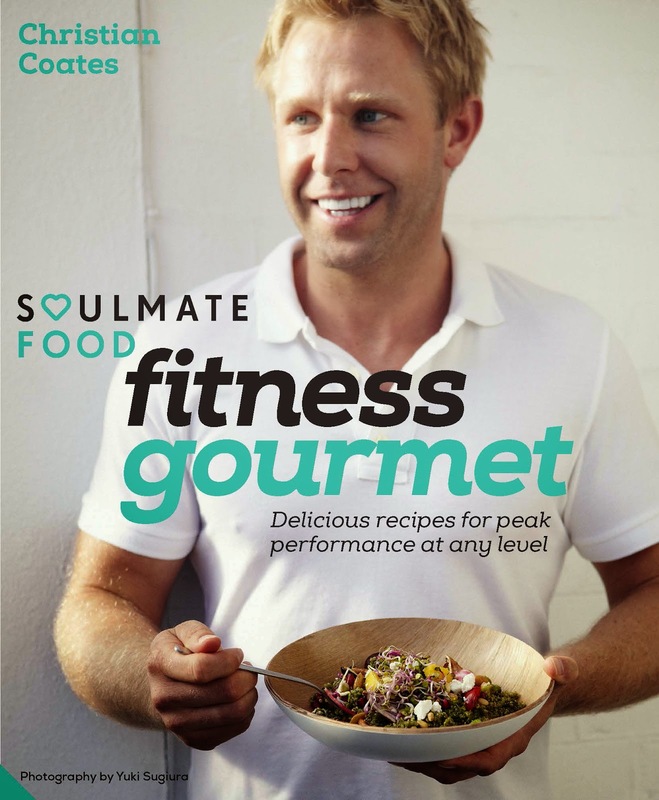 Recognising that people today lead increasingly hectic lifestyles, with the added pressure to look good, Christian saw the need for healthy, accessible cuisine and built Soulmatefood to create a gourmet diet delivery service for the real world. was the only external nutrition service for athletes in the Olympic village, Soulmatefood continues to work with Team GB nutritionists to cater for many athletes – from boxers and judo experts to tennis players and cyclists. As well as having Soulmatefood Kitchen in London’s luxury department store Harrods, Soulmatefood has created a new concept in ‘grab and go’ that has been rolled out through Virgin Active gyms, across London. They are also the preferred supplier for Universal Studios when they are filming on location in the UK. I have a Reader offer for this book so you can order Fitness Gourmet at the discounted price of £20 including p&p* (RRP: £25). Disclaimer: I was sent a copy of this book for review purposes. All thoughts and opinions are my own. I was not required to write a positive review.